A single specimen plant in a beautiful container has an elegance and grace all its own. For a single plant to shine it should have more than one ornamental feature and look great over more than one season. 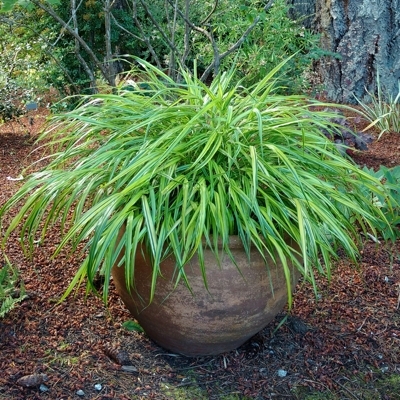 The size of the plant should be in proportion to the size of the container. The shape of the plant, whether it be tall and upright, softly weeping or a formal round ball, should complement the shape of the container. Among other things, grasses, ferns and hydrangeas are particularly well suited to container growing and look more spectacular with each passing year. 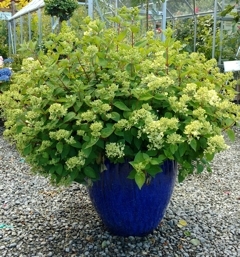 Any of the new easy care, long blooming hydrangeas would look great in a nice pot. Try ’Limelight’, Little Lime’, ‘Bombshell’, ‘Pistachio’ or ‘Adria for example. Many grasses show well in containers with Japanese forest grass (Hakonecloa), fountain grass (Pennisetum) and feather reed grass (Calamagrostis) being particular favourites. Evergreen ferns like sword ferns and Japanese Tassel Fern (Polystichum polyblepharum) take time to fill in, but are worth the wait. Consider perennials like Crocosmia or Kniphofia which have spiky foliage all season and showy flowers in mid-summer. 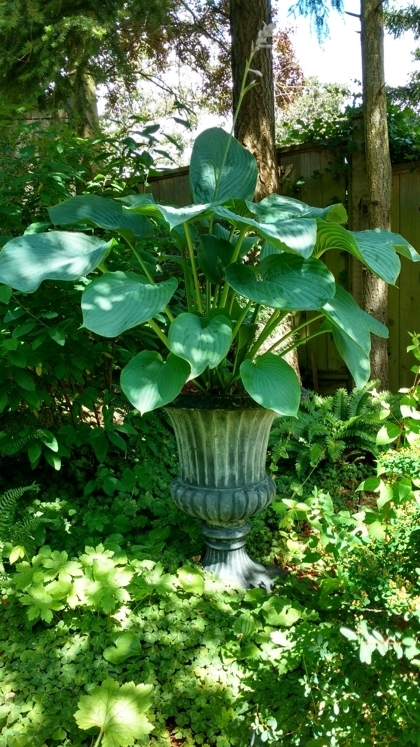 I’ve always had hostas in pots and they look stunning when elevated and a small grouping can make quite a statement. 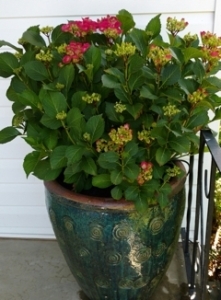 Specimen plants in containers can adorn a porch or patio or define an entry way. When placed around the garden or tucked into a bed, they become instant focal points. Plus, you can move them around to cover up bare patches. A well-placed container looks like art and can hide all manner of problems! There will always be petunias in my summer garden, but the pots filled with special plants will be there year after year, like reliable old friends.